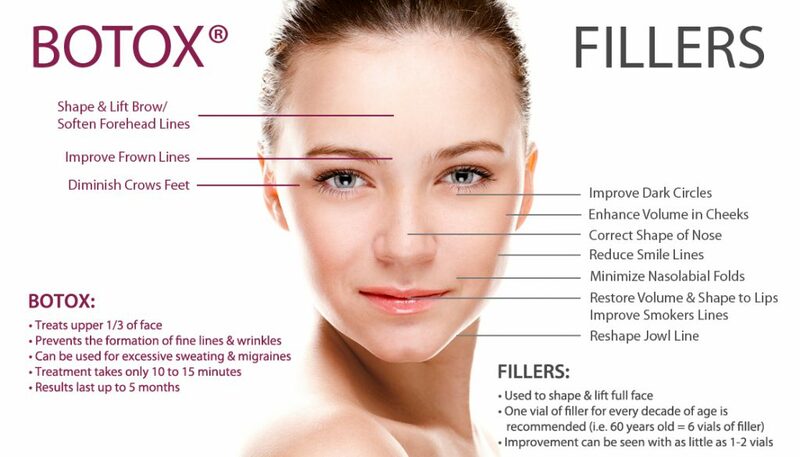 Dermal filler is a non-surgical, minimally invasive, medical treatment that is injected into the skin to correct creases, wrinkles and folds associated with aging. They also add volume and definition by altering contours to regain a more youthful appearance. As we age, our bodies don’t produce collagen and elastin like they used to, which can leave us with a tired and sunken appearance. The answer = dermal fillers. These incredible injections will add volume where it’s needed, erase fine lines, and hydrate those areas, rejuvenating your appearance. This process is completely safe and only uses natural ingredients. It’s a safe and affordable way to regain your youthful looks in no time at all. Dermal Fillers are used to promote a more youthful appearance by providing hydration, support and structure to areas suffering from volume loss or deficit. The results are immediately visible and generally involve minimal downtime or discomfort. Juvéderm TM offers a safe and effective nonsurgical option for softening fine lines and wrinkles and restoring lost volume. JUVÉDERM® is an injectable gel filler used to refresh your appearance. Using hyaluronic acid, a naturally occurring sugar found in your body, JUVÉDERM® combines with the water in your skin to gently restore lost fullness, smooth out lines and wrinkles, and subtly enhance lips, so you can look as young as you feel. The smooth formulation of JUVÉDERM® provides results that look and feel very natural. Click here to read more. Redensity1, Redensity 2, Global, Teosyal Kiss,Teosyal Ultimate, Teosyal Ultra DeepTeosyal® Hyaluronic Acid gels are extremely pure, monophasic and homogeneous, and therefore are less vulnerable to free radical degradation. The painless hyaluronic acid injections* of Teosyal use a formula including a local anesthetic which is recognized worldwide in medicine and surgery. Teosyal® is a full range of injectable dermal fillers made of non-animal origin and biodegradable hyaluronic acid. Hyaluronic acid is a natural skin component. It acts like a sponge and retains large quantities of water to keep the skin plumped and soft. In the fillers syringes, HA comes in the form of a gel.Click here to read more. Restylane, Perlane Restylane gel consists of a minimally modified hyaluronic acid that is similar to the hyaluronic acid that is naturally found in the body. The contents can almost be described as sugar and water and Restylane is slowly broken down in a natural way in the body. A newly published clinical study shows that the effect of a Restylane treatment together with an additional follow-up treatment can last up to as long as 18 months.The products are used for smoothing out wrinkles and lines for filling out and shaping lips, defining facial contours and improving the quality of the skin.Click here to read more. Bellafill is an injectable micro-implant used for a more permanent correction of wrinkles and other skin depressions. Bellafill consists of tiny microspheres blended with a small amount of collagen and a trace dose of anesthetic to relieve mild tenderness after treatment Click here to read more. How are Dermal Fillers Injected? This non-invasive dermal filler procedure is administered through an injection. Today dermal fillers such as Juvederm, Teosyal and Restylane all have a lidocaine numbing agent in the filler which helps alleviate pain during the injection. Dermal fillers, such as Juvederm, Teosyal and Restylane, tend to work best on wrinkles that are visible when the face is relaxed. Dermal fillers eliminate these wrinkles by plumping up the skin layers, increasing fullness and pushing out wrinkles and creases. In addition to softening wrinkles, dermal fillers can also be used to plump up thin lips, create fuller cheeks, as well as fill hollows, to create a fuller, more youthful appearance. How Long Do Dermal Filler Results Last? When patients receive optimal treatment with dermal fillers on wrinkles and folds, they can expect results that last between 6 months to a year. What Happens If I Do Not Like It? Hyaluronic Acid Fillers can be dissolved by using an enzyme known as Hyaluronidase. Combining both Dermal fillers and Botox together can provide dramatic results!